As I see it, the answer to the question is clearly "NO." Some people agree. But, it seems that many other people on the Internet strongly disagree. And the TV show "Mythbusters" agreed with the naysayers. This is an analysis of the dispute. The question and illustration above are what Albert Einstein would have called a "gedanken," or a "thought experiment." It is probably impractical or far too expensive to perform in real life, but there is nothing to stop the experiment from being performed in our imaginations. You just need to have an imagination. We have a 747 setting on a conveyor belt. There is a wind sock or flag next to the conveyor belt which hangs limp, indicating there is no wind blowing. Since "the conveyor belt is designed to exactly match the speed of the wheels, moving in the opposite direction," the flag pole can be used as a guide to assure this happens. When the plane starts to move, the flag pole will get farther away unless the conveyor belt also moves to keep the plane in the same place. So, we need some kind of device that makes sure the airplane always remains in the same spot. That way, the conveyor belt will "exactly match the speed of the wheels, moving in the opposite direction." The pilot of the plane can push his throttles full forward, and the conveyor belt will compensate to keep the plane in the same place, the speed of the wheels exactly matching the speed of the conveyor belt. Can the plane take off? Of course not. It is basically just standing still. It cannot get any lift. There is no air rushing across the wings to create low pressure atop the wings to lift the plane. That is what the "thought experiment" was designed to illustrate. So, how can anyone possibly disagree with this? Mostly they disagree because they misunderstand it. Many disagree because they consider the "thought experiment" to be impossible, and they create a different experiment that they agree with. The "thought experiment" might have been easier to understand if the pilot was in control of the experiment instead of the conveyor belt. That way, the conveyor belt can be set to just run faster and faster until it reaches about 200 mph or beyond normal takeoff speed. When the conveyor belt starts moving, the pilot will see the flag pole moving away from him, indicating that his plane is being hauled backwards. He can then add power to his engines to compensate, keeping the flag at the same angle to the aircraft. As the conveyor belt moves faster and faster, the pilot applies more and more power to the engines which generate more and more thrust. But the weight of the plane on the conveyor belt remains the same. No air moves across the wings, so the plane does not lift and cannot take off. If the conveyor belt reaches 200 or 300 or 500 miles per hour, the plane will still be in the same spot. All the engines are doing is preventing the the airplane from moving backwards. 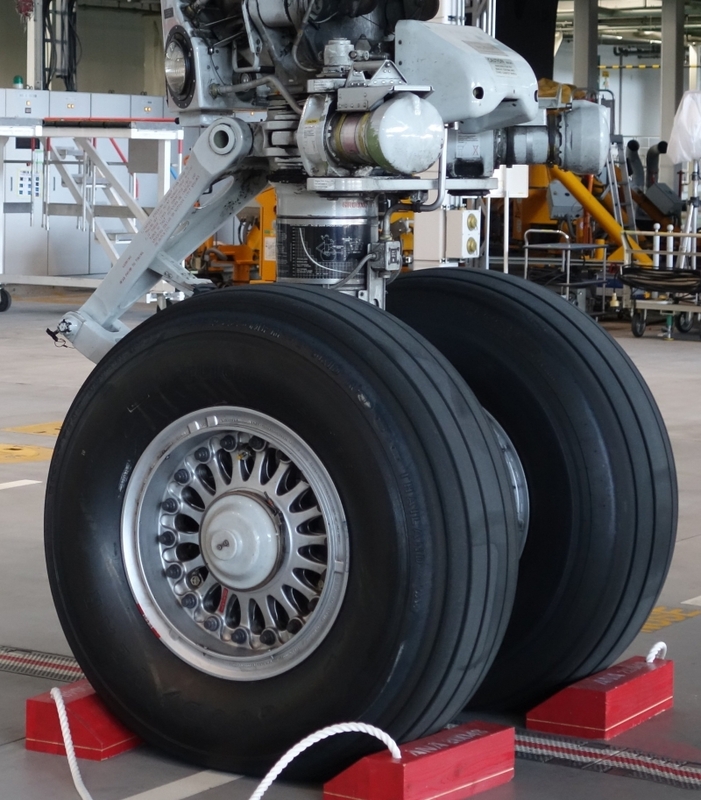 The wheels will be flattened on the bottom just as if the plane was parked. 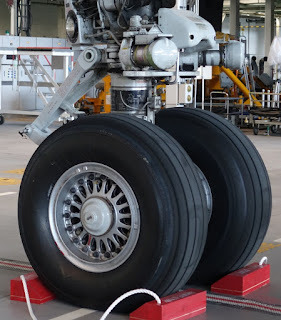 In reality, of course, the constant flexing of the rubber in the tires as they rotate under the full weight of the plane at high speeds would cause the tires to overheat and burst, and the engines would also overheat and either shut down or explode because they are designed to fly best in the cold air of higher altitudes. But the plane would not take off. What are the arguments from the naysayers? The first argument (on a web site HERE) is "The wording of this quiz is wrong and makes it physically impossible," and "we can not design the conveyor belt to move at the same speed as wheels." In effect, he admits that the plane cannot take off unless you reword the "thought experiment" to allow it. He argues that the way the thought experiment is phrased does not allow for an imbalance of forces to move the plane forward. But the Mythbusters experiment did not have a conveyor belt. They had a long canvas cloth laying on pavement. And a truck pulling the cloth under the plane is supposed to simulate a conveyor belt. But, it doesn't, because the weight of the plane is being held up by solid earth, not by the cloth and not by any conveyor belt. When power is applied to the engine in the video, the plane can be seen to move almost normally relative to the traffic cones marking the side of the runway. And the plane took off. Why? Because it wasn't the experiment in the original question. The plane was moving across the stationary earth, not sitting on a moving conveyor belt. The cloth was being pulled out from under the plane, but the cloth was very long and therefore flexible enough to have little effect on the movement of the plane. That flexibility allowed the wheels to turn at the speed the plane moved relative to the earth. And the plane is allowed to move forward, almost as if the cloth wasn't there. They should have had high-speed cameras and marks on the tires to record the speed of the wheels versus the speed of the cloth and the speed of the ground. That would have shown that the plane moved almost as if the cloth wasn't there, totally ignoring the experiment. 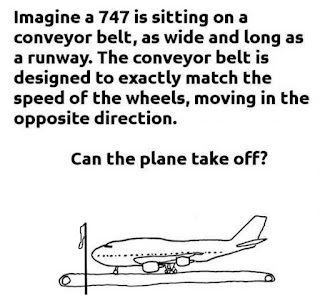 Another web page HERE also argues that the original question is not realistic, and it also argues that if the conveyor belt is moving fast enough it will drag air with it and give the airplane the lift it needs to take off. That is highly doubtful, since the air being dragged will be very close to the earth and certainly won't be going OVER the wings, creating low pressure, which is what is needed to give the plane LIFT and allow it to take off. Another web page HERE also argues that the question is unrealistic. A web page HERE says the plane cannot take off, and then he opens the question for debate, getting responses for and against. There's another such page HERE. There are more arguments HERE, HERE, HERE, HERE and HERE. And there is a New York Times article from 2006 HERE. As I see it, the question is HYPOTHETICAL. It is a "gedanken" thought experiment. 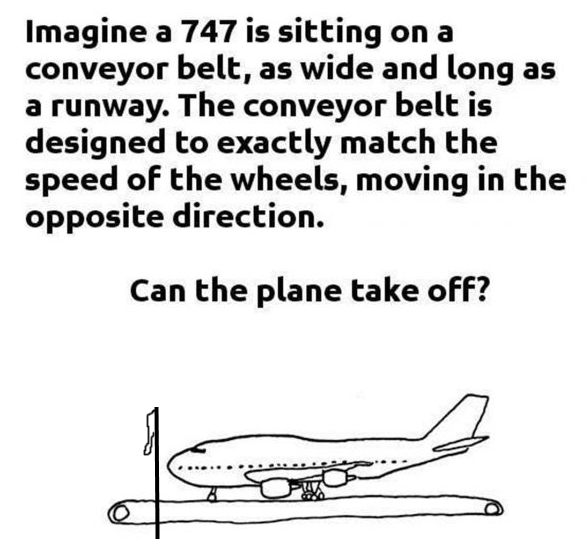 As it is stated in the original question, the plane cannot take off. If you change the question and add other conditions, then you aren't answering the question. You are just arguing.